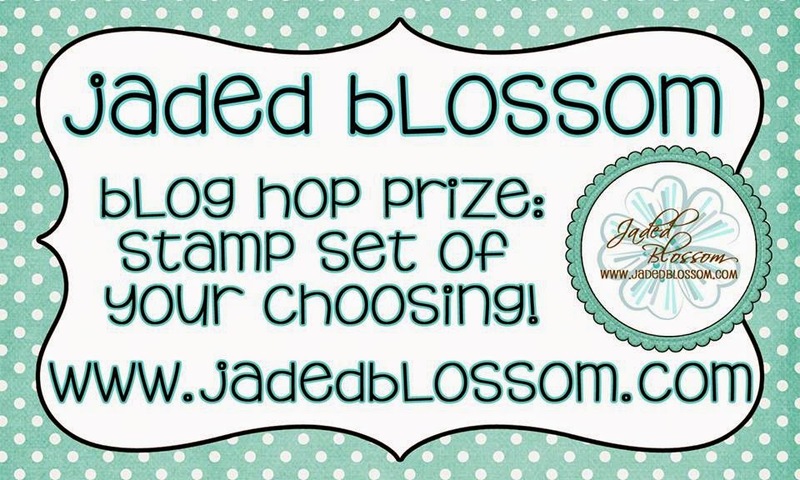 Paper Crafts by Candace: Jaded Blossom Stamp Release Blog Hop! 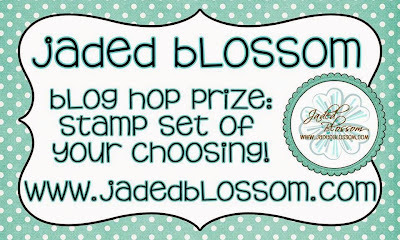 Now if you're here from the Jaded Blossom blog then you're in the right place, if you're just passing through start at the beginning because you don't want to miss a thing. I also have the complete line up at the bottom. Here is what I made using the new Balloon Dies and So Many Birthdays 4. 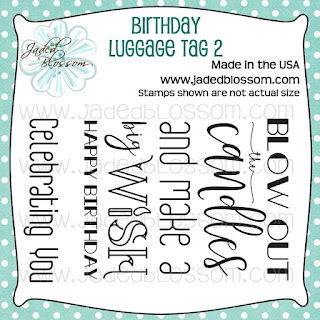 From Jaded Blossom I also used our Card Mat Dies, Mini Tag Dies 2, Luggage Tag Dies and Spring Word Dies. 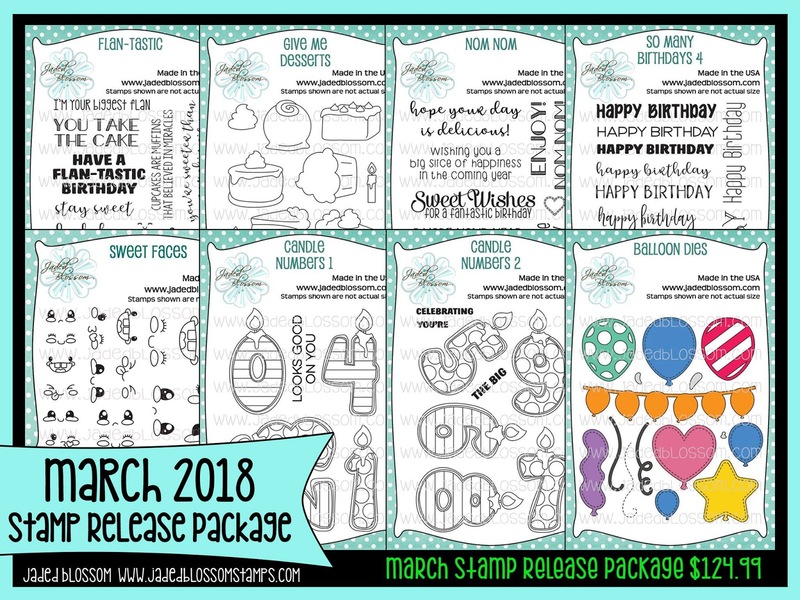 Free stamp set for customers that spend $40 or more before Taxes and Shipping! FREEBIE is only available until Sunday 3/18, 11:59pm pst. 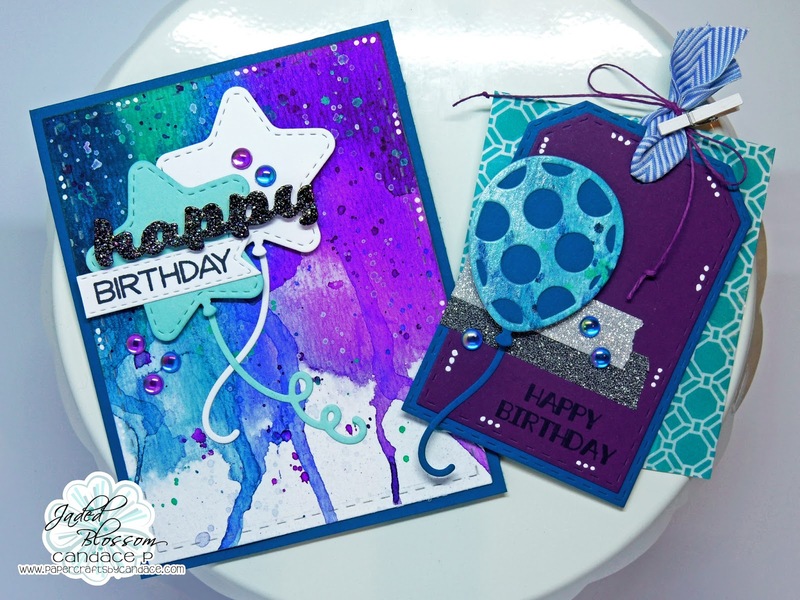 Love the purples and teals. 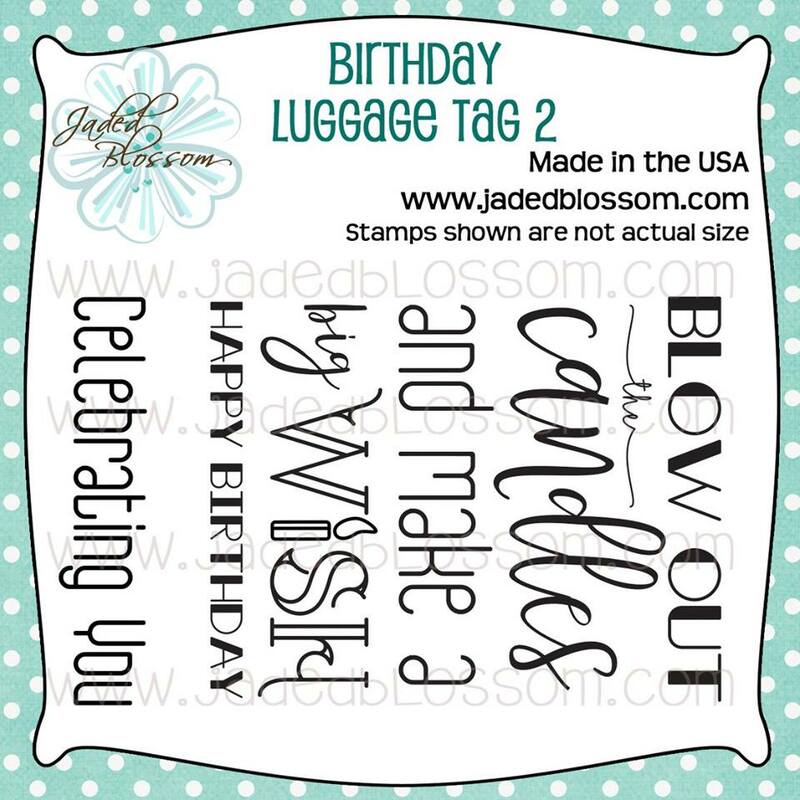 Love the colors on your birthday card and tag. Love the balloons too. 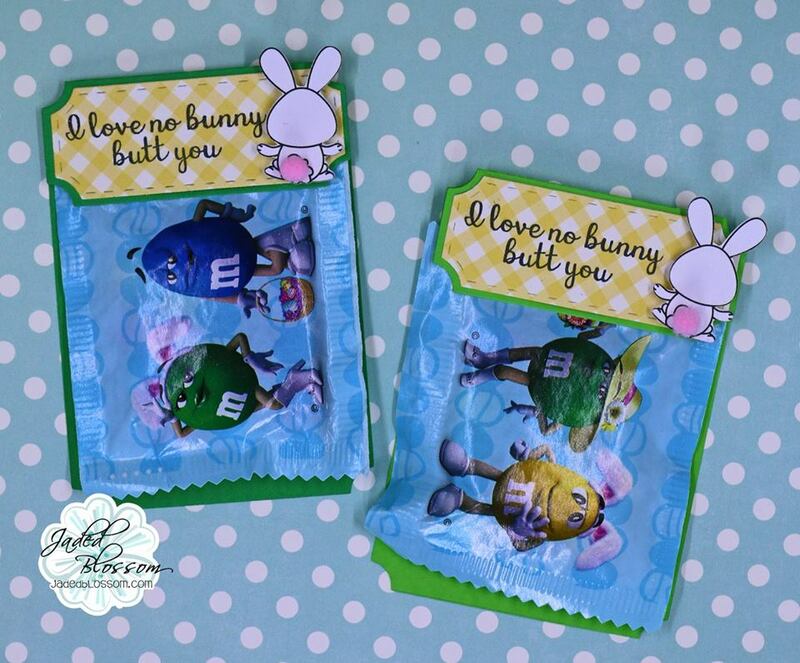 Beautiful card and tag!! I love the colors and the balloons!! Love those cute balloons! Great color combo! Wonderful card, I love the colors! Wow!!! Stunning colouring!!! 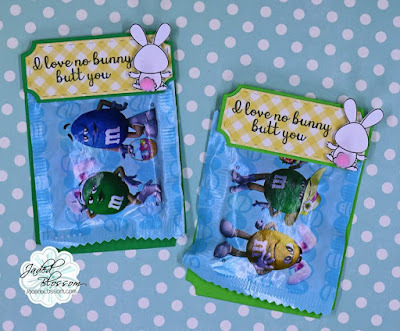 Beautiful card and tag!!! Super pretty! I love those colors together! So pretty! Love those vibrant colors. Gorgeous projects!! Love the pretty background! Great projects! I absolutely love the star balloon! Jaded Blossom Stamp, Release day 1~ Birthday's!